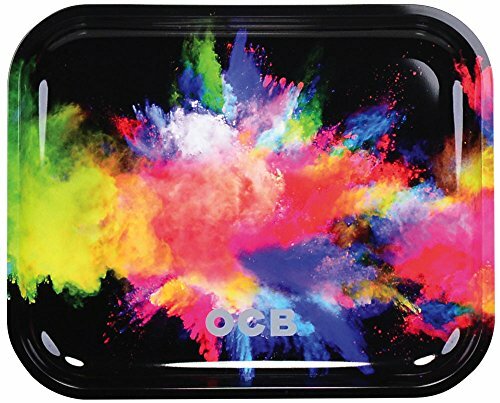 This small OCB® Metal Rolling Tray features a Holi bhang of festival love colors. Tray has curved edges and high sides, perfect for holding stash safely. Small (7.5"x5.5"), medium (11x7.5") and large (14"x11") sizes.